Philippe took the Chair at the latest meeting of Wimbledon Speakers Club and led another highly entertaining evening, not least because of the extremely philosophical and thought-provoking topics session! Participants (including newcomers Jake & Ian) were asked to give 2 minute speeches on questions such as ‘Is it better to fail or never take part?’, What is one responsibility you would like to be rid of?’ and ‘Who do you compare yourself to?’ and it was Anne who took away this meeting’s Debra trophy with her topic on ‘What are your first memories?’ – congratulations, Anne! After the break, both John and Arsh delivererd (and duly passed) Level 4 speeches (gestures), with ‘Phobia’ and ‘How to use social media’ as the respective subjects – we look forward to both speakers delivering their Level 5 speeches in due course! We look forward to our next meeting on Wednesday 18th April (kick off 7.30pm) for more practice and progress! Everyone welcome – especially new visitors! Hi, my name is Josie and I joined the Wimbledon Speakers Club in 2017. For two decades of my life I had avoided public speaking due to a bad experience at school which I have shared below. 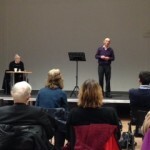 If you aren’t feeling confident about public speaking but there is a part of you know that knows you would like to address it, I hope my personal story will go some way to encourage you to come along to a local speakers group where you can learn and feel supported in a friendly environment. I have a fear of public speaking ever since my first experience at middle school and in music class we were put into groups and pretend that we were in a band and create our own piece of music. My team decided to create a rap song – I can’t rap. I should’ve known it would be a recipe for disaster but I still went ahead as I didn’t want to let the team down. After my group rapped in front of the class, there was a deathly silence. I looked at my music teacher’s face. He had those kind of faces where when he gets angry his cheeks gets flushed and I could the pink was turning a darker shade of red and he exploded. Our performance was so bad he thought we were taking the brief he gave seriously and he shouted at us for mocking him. The class all laughed. You know those embarrassing moments where you fear humiliation and being judged? Yes, that’s what happened, the class all laughed. I felt ashamed, embarrassed, and everything else under the thesaurus for mortified. I then did what many other people might do if they have experienced hurt and embarrassment, they avoid repeating the situation as they don’t want to be put in the same situation and be put at risk of it happening again. It makes common sense right? But the downside of this strategy meant for a long time I avoided doing things that involved public speaking, this also meant not going for jobs that interested me because I didn’t want to present. Not sharing what I know to more people for fear of being rejected. There was only one other time at University where I had to speak and that also didn’t go well as the colleague came up to me and said ‘your legs shook like jelly, you were like Shakin’ Stevens’ and then laughed. I thought to myself, I am not destined to be a public speaker. It wasn’t until much later that I realised that I was tired of myself trying to run away from my own fear. I didn’t want to keep avoiding and the only way around this was to do something about it. I decided to do something scary courageous and set myself the challenge of singing on my own in Leicester Square and I did it. 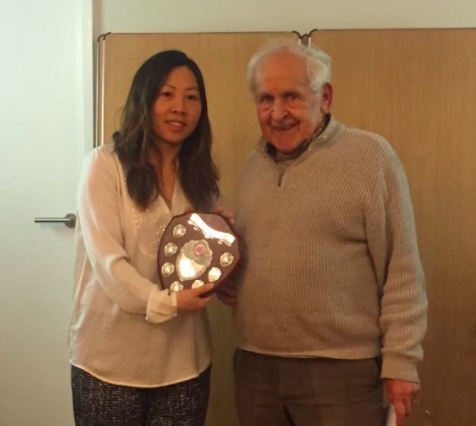 I have since joined my local speakers group and I recently participated in the annual club contest and won the annual competition! 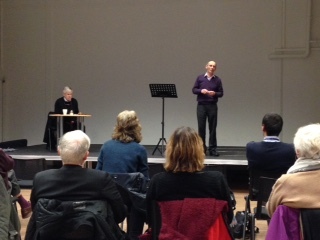 Then I participated in the area level competition where I decided to try and write a witty speech which was a bit of a risk as I didn’t know who the audience were, and whether it would be well received – it surpassed my expectations, as the audience laughed throughout the whole speech. 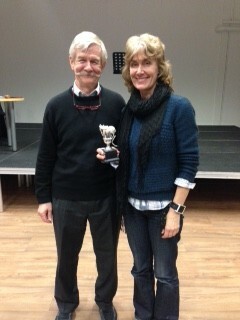 I came 2nd and was really pleased to have gone that far. Although the adrenalin was rushing through my blood and I was shaking, there was also the excitement and I actually got a taste that public speaking can be enjoyable! Whilst I still feel the nerves, what I have gained is the confidence in knowing that I am willing to face up to my fears and to be myself when I take centre stage. If there is a part of you that wants to speak out more and develop the art of speaking more confidently in groups, then I recommend joining a local speakers group. And if you are joining Wimbledon Speakers Club, then I look forward to seeing you there! And maybe we can be Shakin’ Stevens together?! 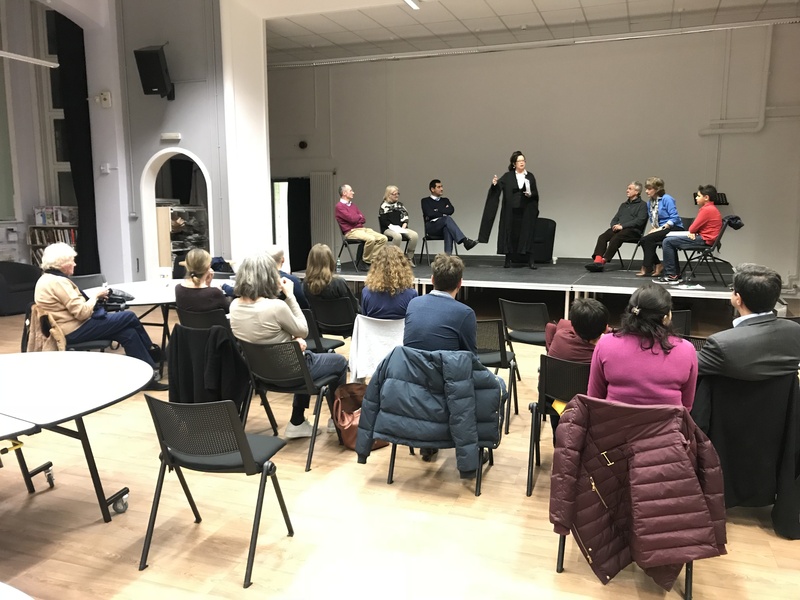 Our second meeting in our new home of Wimbledon Library was a night of fantastic variety led by our Chair for the evening, Debra. And it was also a night of two halves, literally, which saw us break out into the big main room for the ‘Parliamentary Debate’ – the headline act. After a warm welcome, Debra used a box of trivia cards that she had received as a Christmas present as the basis of both the icebreaker as well as the topics round. The icebreaker asked us all to recall a ‘senior moment’ that we’d once had – no shortage of answers there! A wonderful variety of topics saw the audience provide 2-minute impromptu speeches on such subjects as ‘how to make a good cup of tea’, ‘unexpected item in the baggage area’ and ‘first impressions count’, with Arsh taking home the trophy on this occasion, much to the delight of his family in attendance! 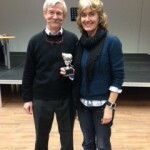 Bilwa provided an exemplary display of topics evaluation (as one would expect from an award-winner! ), giving each of the participants praise as well as a suggested improvement, to help us all hone our speaking skills. The second half saw us move into the big main room in the library and onto the main stage for the annual ‘Parliamentary Debate’, with the Chair quickly morphing into the role of Madam Speaker for proceedings! There were two mini debates (one on the role of the British Monarchy and one on the required etiquette of visitors to London) with 3 speakers on each side arguing for and against. The format worked very well and kept the audience engaged throughout – many cheered, jeered and threw impromptu questions at the speakers to keep them on their toes! Sam rounded off the evening with the general evaluation, declaring the evening a great success – a remark that was met with resounding approval from those in attendance! 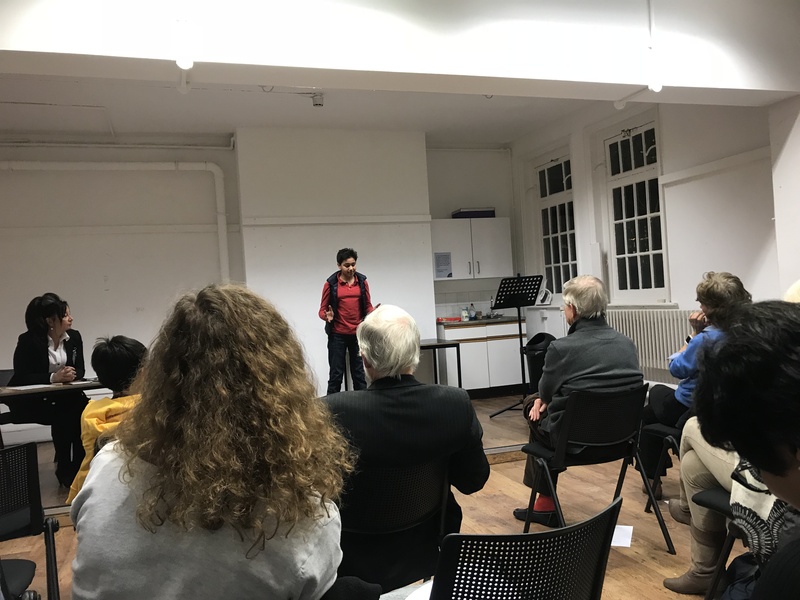 We look forward to our next meeting on Wednesday 21st March (kick off 7.30pm) at Wimbledon Library (2 minutes walk from Wimbledon train / underground station – entrance via the automatic side door on the left of the building) for more practice and progress! Everyone welcome – especially new visitors! 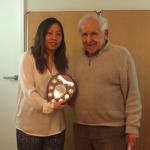 Wimbledon Speakers Club Celebrates 20th Birthday!